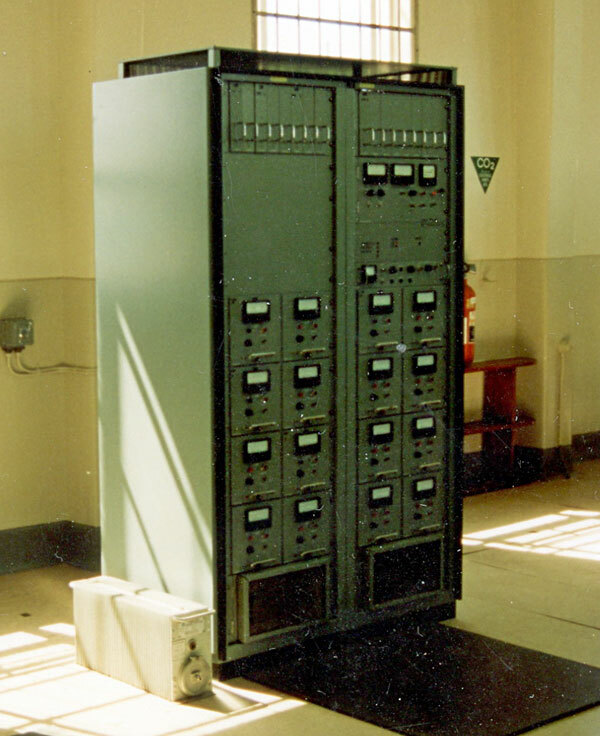 This totally solid-state transmitter was used at Auckland Radio ZLD until the station closed in 1993. 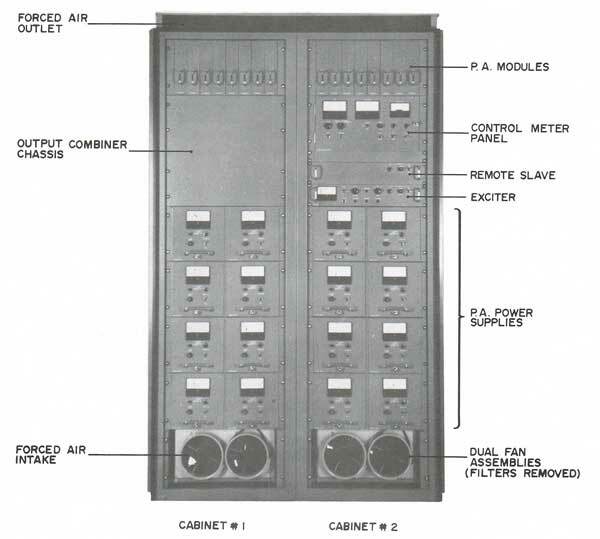 Its modular design allows any of the 16 power supply or 16 power amplifier modules to fail, or be removed for servicing, while the transmitter remains on the air. 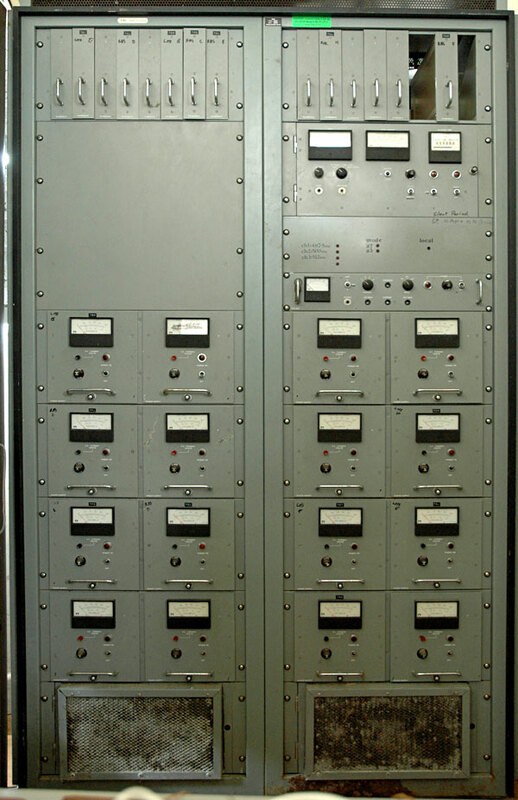 The transmitter is set for operation on 487.5 kHz (Auckland Radio’s working channel), 500 kHz (marine distress and calling channel) and 512 kHz. 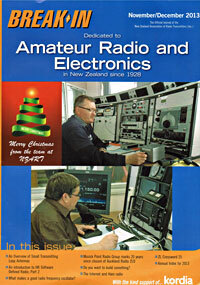 512 kHz was an original ZLD frequency, and was used by ZL1ZLD, the amateur radio station at Musick Point, until mid 2013 when amateurs were allocated a new 630 metre band (427-479 kHz). 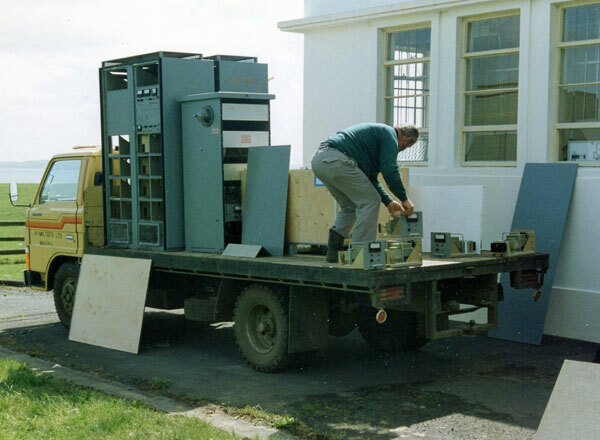 Members of Musick Point Radio Group rescuing the 500 kc/s Nautel transmitter from the Auckland Radio Oliver Road transmitter site before it was demolished.